Below you fill find all funeral homes and cemeteries in or near Sullivan. Suburbs of Sullivan: Japan, Pea Ridge, Spring Bluff, Strain. Zip codes in the city: 63080. Some of the notable people born here have been: Bruce Woodcock (journalist). Sullivan is a city that straddles the border of Franklin County and Crawford County in the U.S. state of Missouri. The population was 7,081 at the 2010 census. It was revealed by Quincy Herald-Whig on November 24th, 2018 that Wayne Allen Maggart passed on in Quincy, Illinois. Maggart was 94 years old and was born in Sullivan, MO. Send flowers to express your sympathy and honor Wayne Allen's life. It was disclosed by Sacramento Bee on November 1st, 2018 that Lawney Joe Falloon passed away in Colfax, California. Falloon was 79 years old and was born in Sullivan, MO. Send flowers to share your condolences and honor Lawney Joe's life. It was reported on August 23rd, 2018 that Naomi R Davidson (Hall) passed on in Sullivan, Missouri. Ms. Davidson was 78 years old and was born in Eldorado, IL. Send flowers to express your sorrow and honor Naomi R's life. It was noted by Current Local on June 28th, 2018 that Virginia Fay Martin (Clark) passed away in Sullivan, Missouri. Ms. Martin was 86 years old. Send flowers to express your sorrow and honor Virginia Fay's life. It was written by Peoria Journal Star on April 21st, 2017 that Roy Lee passed away in Mackinaw, Illinois. Lee was 83 years old and was born in Sullivan, MO. Send flowers to express your sorrow and honor Roy's life. It was noted on December 17th, 2016 that Bonnilyn Rae Bond (Johnson) perished in Sullivan, Missouri. Ms. Bond was 66 years old and was born in Eau Claire, WI. Send flowers to share your condolences and honor Bonnilyn Rae's life. It was revealed on November 5th, 2015 that Leica Aubuchon passed on in Sullivan, Missouri. Aubuchon was 52 years old. Send flowers to express your sympathy and honor Leica's life. It was reported by The County Journal on October 8th, 2015 that Denver G Hansell passed on in Sparta, Illinois. Hansell was 84 years old and was born in Sullivan, MO. Send flowers to express your sympathy and honor Denver G's life. It was revealed by Bell Banner on August 6th, 2014 that Mildred L Crider (Miller) died in Sullivan, Missouri. Ms. Crider was 80 years old. Send flowers to express your sympathy and honor Mildred L's life. It was disclosed by Bell Banner on December 26th, 2012 that Louise Ruth Evelyn Oshia (Lange) died in Sullivan, Missouri. Ms. Oshia was 88 years old. Send flowers to share your condolences and honor Louise Ruth Evelyn's life. 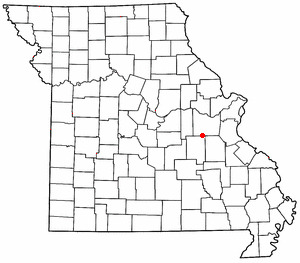 Sullivan is a city that straddles the border of Franklin County, Missouri County and Crawford County, Missouri County in the US state of Missouri. Between 1920 to 1960 the city grew from 900 to more than 4,000 residents, making Sullivan the second-fastest growing city in the state during that time. Stephen Sullivan founded the city in the late 1850s and cleared brush, which facilitated the building of the railway depot there, and the railroad named the town and station after him in 1860. In 1856, when a post office was established in present-day Sullivan, the local postmaster named the place "Mount Helicon". The population was 6,351 at the 2000 census. Declan Sullivan was on a scissor lift that fell as wind gusts reportedly reached around 50 mph. The 20-year-old's funeral was Monday in suburban ... owners of the oldest house in Jasper County, Missouri will open their doors for a Haunted History Tour. Eaton, James - Eaton Funeral Home Incorporated, Sullivan, MO : Reviews and maps - Yahoo! Local, 573.468.4147. Get Ratings, Reviews, Photos and more on Yahoo! Local. We work with local florists and flower shops to offer same day delivery. You will find budget sympathy flowers in Sullivan here. Our funeral flowers are cheap in price but not in value.